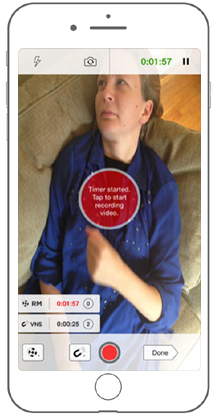 Seizure Tracker™ - Record and share videos of seizures with your care providers. Capture video of seizure events to help with diagnosis! Video recording of seizure events often aid caregivers in diagnosing seizure types. This tool allows users to attach links to personal YouTube videos to a particular seizure event entered on SeizureTracker.com. Video can be recorded as a part of the mobile apps quick capture feature. Once recorded on the mobile device through the app, videos can be automatically uploaded and stored on YouTube through the syncing process. Videos stored on YouTube can be easily attached to seizure diary entries. The event will now be viewable with a button rpovided to view the recording in the event list on the event recording page. Video recorded and synced through the app or links attached to event diary entries will be available through the Seizure Tracker reporting system. The events with videos attached will include a camera icon/button in all event lists created in the reports. Clicking the link will provide the video in a separate web browser window. The videos uploaded through the Seizure Tracker mobile apps to YouTube are listed under the highest security setting allowed for viewing through a shared link. Videos that are directly uploaded to YouTube must have a security setting that allows for the shareable link to be used on Seizure Tracker.